Spring is quickly approaching! The birds are already chirping and my neighbor’s tulips are starting to peek through the ground. 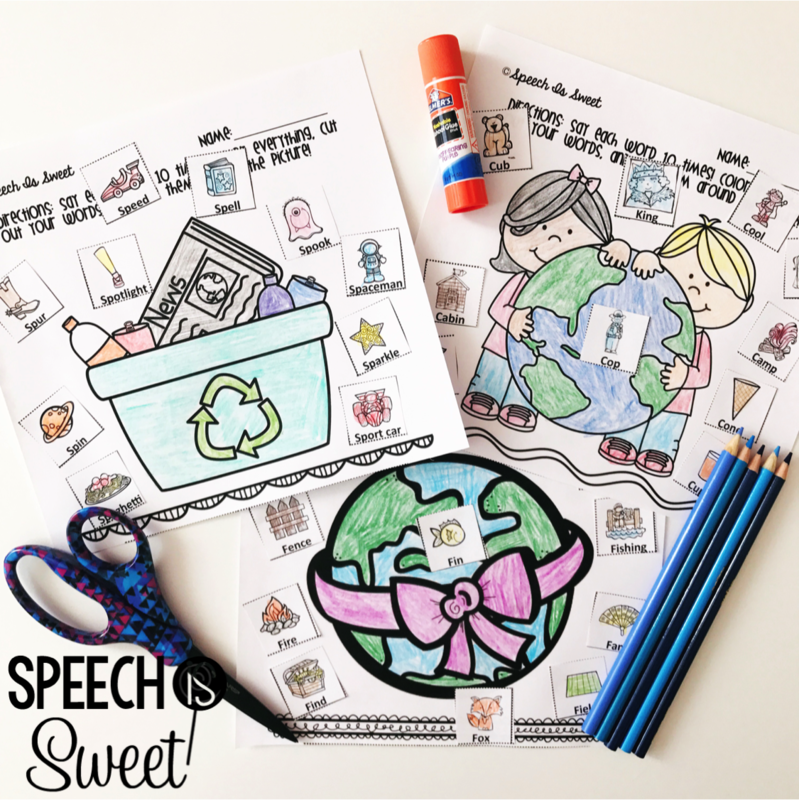 I know quite a few early planners, so I want to talk about a few Earth Day ideas with you! I’ve always loved incorporating holidays and special events into my therapy sessions! Basically, I just love to celebrate. haha! Earth Day is on April 22nd and it’s a great time to teach students about our planet! Last year, I made a very simple craft (but never had time to share it with you)! First have students cut out a circle with their blue construction paper. Then they color their words green and glue them around the circle to make land. Super easy! While students are waiting to engage in repetitive drills, they’ll be focused and engaged with their craft! You really don’t have to waste any time with directions either. Just make a sample for students to see and then they can imitate it! Time is truly critical, because we only have 30 minutes with our students. That’s why I choose super easy or NO PREP crafts! This year, I came up with a new version! 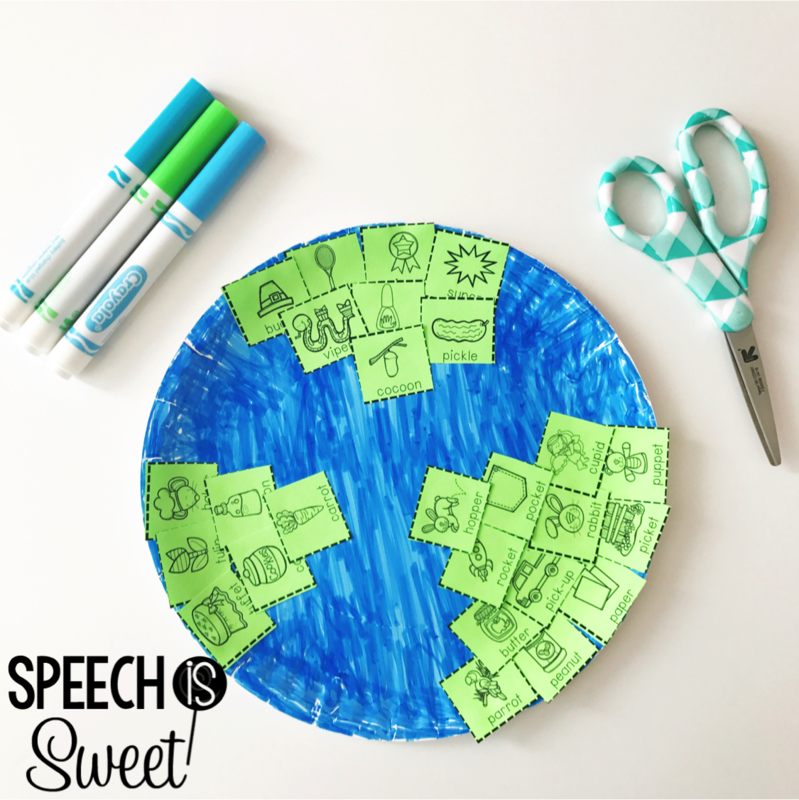 Students can color a paper plate and then glue their word pieces on it! So easy and cute! If you own any of my color, cut, and glue articulation packets (ex. Spring Articulation Bundle, Spring: Snip and Stick Apraxia) then you have lots of square word pieces. If you own my Speech Therapy Crafts or Articulation Crafts then you have lots of circular word pieces that you can use too! So… don’t have time to gather the materials? No worries! Check out my Earth Day Articulation packet! This packet also has square word pieces if you want them for crafts! 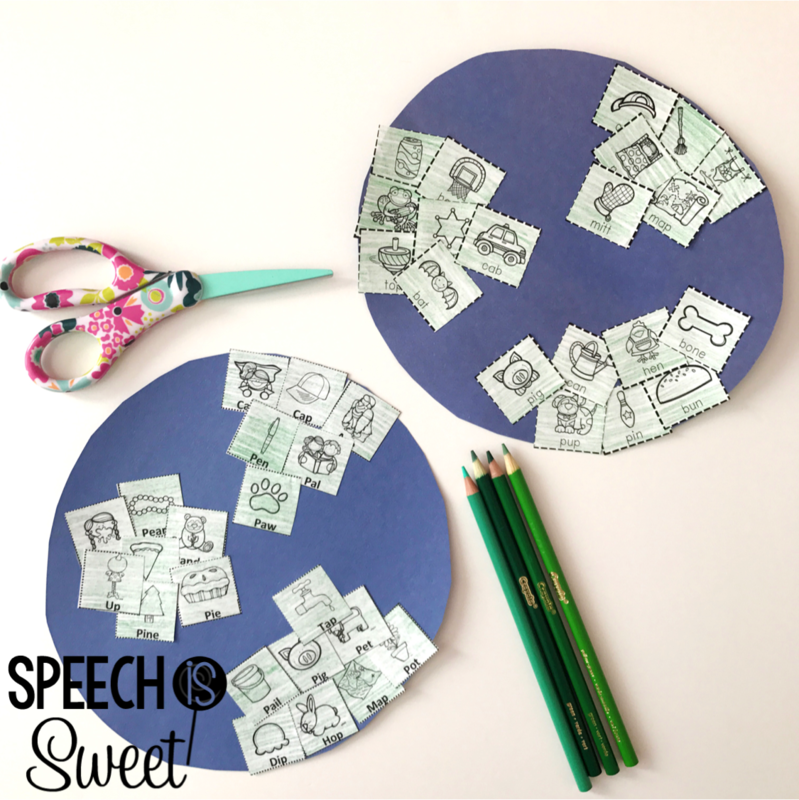 Color, cut, and glue activities have always been a staple for me! They keep articulation students actively engaged between turns. This packet has 150+ pages, so there is something for everyone! If you’re obsessed with Interactive Notebooks like me, students can glue these activities into their notebooks too! Happy Fri-Yay! Thanks for visiting! « Garden Theme in Speech Therapy!